All nominations are listed on this website after APNIC confirms the nominee is able and willing to serve on the APNIC EC. Nominations are now closed as of 12 Feb 2019 at 17:30 (UTC +10). The final list of nominees are listed below in the order their nominations were received. Nominees do not have to be representatives of APNIC Members; however, only APNIC Members may make nominations. APNIC Members are welcome to nominate a representative of their own organization. The APNIC Member’s Corporate Contact must authorize the nomination. Dr. Kenny Huang is the leading figure of the Internet communities in Asia. Since the early years of Taiwan's Internet development, he contributed a great deal to build up a better Internet environment in Taiwan. Because of his tremendous knowledge and experience, he has been invited to take up leading roles in many Internet technology and policy organizations, including APNIC Executive Council member, APNIC Policy SIG Chair, NRO Number Council member, PIR Board member (.org registry), TWNIC Board member, Advisor of .taipei Registry, dotAsia Advisory Council, ICANN New gTLD Review Committee, and founder of ISOC Taipei chapter. Dr. Huang's contributions have been acknowledged especially in the development of Internet technology. 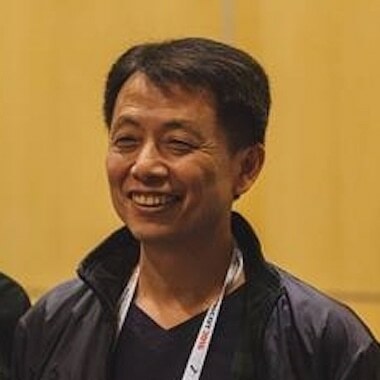 Dr. Kenny Huang is the co-author of IETF RFC3743; co-chair of CGP (LGR for the Root zone); Advisor of CDNC. Dr. Huang is working closely with government agencies in developing technology policies. He is Taiwan e-Government Committee member, Advisory Committee Member of International Cooperation and Development Fund. Committee member of Telecommunication Universal Service Fund, advisor of .taipei registry, and advisory committee member of Cybercrime Prevention Center, Taiwan High Prosecutors Office. I feel honored to be nominated for APNIC EC election. I've been working with APNIC community since the beginning. I was APNIC Policy SIG chair. Twenty five APNIC policies were approved and implemented during my tenure as Policy SIG chair. I was ASO Address Council member from Asia Pacific region since 2001. Three global address policies were successfully implemented during my tenure as the Address Council member. I am enthusiastic about helping the advancement of internet technology. I am the co-author of IETF RFC3743 - IDN administration guideline, which is recognized as a critical element in the global IDN framework. I am committed to work with the community to advance adoption and deployment of IPv6 and RPKI. The IPv6 adoption ratio of Taiwan had been increased from 0.5% to 36% in 2018. The RPKI adoption ratio of Taiwan had been increased from 0% to 70% in 2018. Things happened because many contributors engaged significant effort and time on this matter. As I accept the responsibility, I also commit myself to serve the community and make APNIC as an exemplary number registry to carry out APNIC's mission. Dr. Kenny Huang has made a great contribution in the area of address policy development. As he has been in the positions of Policy SIG Chair, NRO Number Council and APNIC Executive Council for years, his talent and dedication is invaluable asset to the community. Dr. Huang's working attitude and professionalism are highly appreciated by experts who have worked with him. I am confident that he will continue to bring significant value to the APNIC community as a member of the Executive Council. Yoshinobu Matsuzaki, also known as 'maz', began his career working for a commercial ISP in Japan in 1998. He has almost two decades of network operation experience with the backbone network team. He has spoken and presented at APRICOT, bdNOG, btNOG, ENOG, FIRST, HKNOG, IETF, IGF, JANOG, NANOG, npNOG, PacNOG, PhNOG, RIPE, SafNOG, SANOG, and APNIC meetings, as well as other workshops. He has deep knowledge and expertise on network design, network operation, and network security through his regular participation in various community meetings and workshops as a speaker and an instructor. Through his activities, he has contributed to the stable operation of the Internet in the Asia Pacific region. He has also participated in the policy discussions of APNIC when necessary from his operational perspective. I have strong operational background with technologies such as DNSSEC, IPv6 and RPKI. I am also familiar with various communities in the APNIC region through capacity building activities. Once elected, I would like to ensure APNIC continues to improve its stable services. As a number resource registry, registration services are critical and the most important function of APNIC. We have more operational dependency on APNIC now days. RPKI and DNSSEC are good example for that. APNIC is acting as an intermediate authority while verifying digital signature of resources. We need a strong and patient leadership to deploy new technologies such as IPv6, DNSSEC and RPKI. Since each operator has different policy and deployment, I would ensure APNIC continues to provide efficient educational opportunities and trainings to its community so that members can design their adoption of new technologies. I'll continue to attend various operational meetings around the world, and would like to discuss with folks what is necessary for APNIC to meet members' expectation. Yoshinobu Matsuzaki-san has contributed significantly to the Internet community in the Asia Pacific Region. I have witnessed Maz-San's leadership and commitment not only limited to Asian community, but also in ARIN & RIPE region. 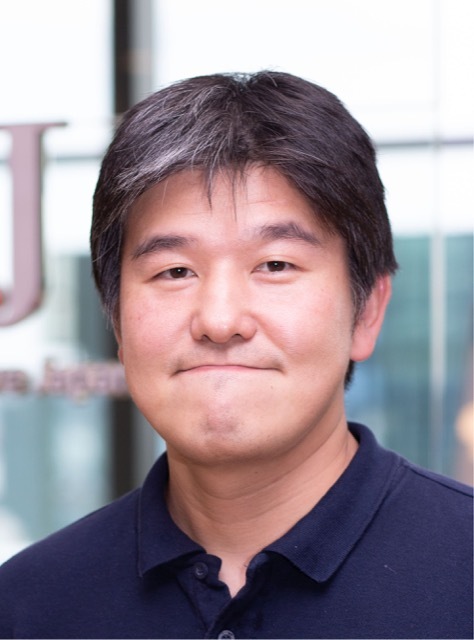 Matsuzaki-san is a senior engineer by profession at Internet Initiative Japan Inc.(IIJ/AS2497), a pioneering commercial ISP in Japan. He has a decade of experience in network operation as part of the IIJ backbone network team. His areas of expertise include network design, network operation, network security, and DNS. He is also the Technical Advisor of APIA and JPCERT/CC. Throughout his long engineering career Maz-san participated actively as a community member of APNIC and JPNIC. For last 3 years he is also serving as a Board of Trustee for JPNIC. He is actively leading JANOG for last 7 years. Maz-San's leadership role in Asia & Pacific Internet Association made "APRICOT" an truly the biggest technical event in Asia. He is an extremely effective spokesman for Asia and in the international community for network engineers. He has given numerous talks at bdNOG, SANOG, btNOG, APRICOT, JANOG, NANOG, RIPE, and APNIC meetings, as well as other workshops. Yoshinobu Matsuzaki is eminently qualified, and is the best person for the role. Without any doubt he is an ideal candidate for APNIC EC. I am fully confident that Yoshinobu Matsuzaki is competent to serve in the APNIC Executive Council if he successfully elected. As his biographical information tells, he holds the highest level of knowledge and expertise on the network operations and operational technologies, mainly focused in routing, DNS, and security, which we can always rely on. He has been serving in the Board of Trustees of JPNIC and actively engaged in the management of JPNIC for three years, which proves his ability to make rational judgments for IP Address Management business as well as other Internet technical and operational agenda, from the viewpoint of the sustainable operation of the global Internet. I believe his experience on the JPNIC Board has added additional capability which is required for the APNIC Executive Council. With his beloved personality, he is a great communicator, as is his wife, the incumbent EC member Izumi Okutani. He is always willing and ready to talk with community members, which I believe is the important nature for EC to hear the say of the community of APNIC and beyond. With those qualities I mentioned above and many others, I am more than sure that Yoshinobu Matsuzaki will bring additional value to the Executive Council and serve the best for APNIC and its Community. Dr. Yuedong Zhang is in charge of operation and management of DNS and IP addresses at CNNIC. He and his team implemented several important projects in China, like the construction of national domain name platforms, the deployment of IPv6 and DNSSEC on national domain name platforms, the introductory and deployment of root mirror and etc. He has been putting highly focus on the IPv6 and RPKI in recent years. As both a technical management person and a researcher, he undertook several sub-projects under CNGI (China Next Generation Internet) Project like "IPv6 upgrading of China domain name system" and was invited to give keynote speech at some national-level IPv6 seminars. IPv6 Under his leadership, CNNIC technical team fixed several functions of RPKI service launched in 2017 and reconnected with APNIC RPKI platform in 2018. He is devoting himself more to IPv6 and RPKI by taking use of CNNIC's technical resources as well as the wide cooperation with the network operators and Internet companies in China. He's actively been involved in the technical communities both in China and Asia Pacific. He is acting as the Trustee of China Communications Standards Association and keeping close relationships with many technical folks. Apart from IP Summit of China IP Address Allocation Alliance, he is one of the core organizers of Asia Pacific Infrastructure Capacity Building Program and has made contributions to the Asia Pacific community. With the changing demands of members and the emerging of new technologies, APNIC is facing more chances as well as challenges. I would like to take use of my strategic experiences with both technical and member engagement background, to help APNIC enhance its operation and better serve the members. I'm in charge of network security, IPv6 and DNS for my daily job, also actively involved in these areas in different technical communities. I am committed to keeping focused on these areas and try my best to contribute my experiences and efforts to serve the AP community. Dr. Yuedong Zhang is an expert in DNS and IPv6. He is very active in the technical communities. With an insight into the ever changing environment and technologies, he led CNNIC's technical operation team being always stable and flexible in its operation. His contributions on helping the community partners have safer systems and network were also laudable. From his proven achievements, I am confident that he will make a great contribution to the APNIC community as an EC. Gaurab Raj Upadhaya from Nepal has been active in the Internet community for more than fifteen years. Currently employed by Amazon Web Services as Principal supporting the Global Network Development team. Previously he was employed by Limelight Networks (LLNW) as Sr. Director for Network Strategy and Interconnection (2010-2018). He was at Packet Clearing House (PCH) as Senior Internet Analyst (2002-2010) and ran PCH's global anycast DNS platform at more than sixty Internet exchange points around the world. Gaurab has a long record of volunteerism and commitment to the Asia Pacific Internet Community. He has served on the APNIC Executive Council since 2011, and as Chair of the EC since 2016. He also served on the Asia-Pacific Internet Association (APIA), now known as APRICOT, Board of Directors during 2004-2011, and as Chair from 2006 through 2009. He is an standing member of the APRICOT Program Committee, and was Chair from 2007 to 2009. 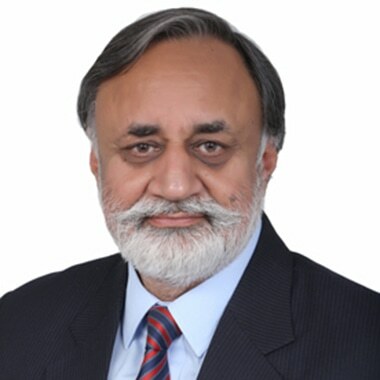 Additionally, in 2003 he was the founder of the South Asian Network Operators Group (SANOG), the regional network operators' forum that has trained hundreds of network engineers and brought the Internet community together in the South Asian Region with thirty-three successful meetings to date. At APNIC meetings, he has served the APNIC community as the chair of the APNIC Internet Exchange Special Interest Group (IX-SIG) between 2007-2011 and as the chair of APNIC Policy SIG during 2010-2011. Gaurab is one of the 14 global Trusted Community Representatives who cryptographically sign the root of the domain name system in ICANN Root DNSSEC Key ceremonies. 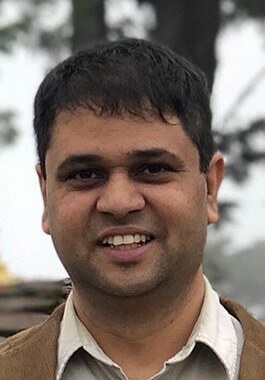 In 2001, Gaurab was the founder of the Nepal Internet Exchange (NPIX), the first IX in the South-Asian region, and still serves as its Chairman, pro-bono. In 2007, he worked together with local colleagues to build the Nepal Research and Education Network (NREN) and continues to serve as its Technical Director. This role has brought him close to various NRENs in the region and increased his understanding of their role in education and on the Internet. During his career, he has spoken and presented at INET, APRICOT, SANOG, APNIC, MENOG, NZNOG, AUSNOG, PHNOG, JANOG, AfNOG, NANOG, ICANN conferences as well as RIPE and LINX Meetings. I am Gaurab Raj Upadhaya, current Chair of the APNIC Executive Council (EC). In my day job, I am Principal in the Global Network Development Team at Amazon Web Services AS16509. I was re-nominated to the EC election. I accepted the nomination and am now looking for support from the community for their votes. Most of you know that I have been a regular attendee at APNIC members meetings since 2002. This is the 34th Meeting I am attending, so for about seventeen years, and thank you for coming to the meeting we hosted in Kathmandu last year. In the many years of attendance, I have served as a speaker, policy proposer, BoF organizer, IX-SIG Chair, Chair of Policy SIG and as member of the APNIC EC. Also, in the last few years, at APNIC, the focus continues to be on strengthening the organization after the energy was spent on global Internet governance issues earlier in the decade. A major focus for me personally is to increase the level of community participations in the policy process and to invite community to take leaderships in our engagements with global bodies. In the EC, we took the position, as first amongst the RIRs, to elect dedicated IANA Review committee members from the community. I personally hope we get more such opportunities. Also, the financials of the organizations continue to be good, and the community has indicated trust in the membership over many years of the survey. Without making this too long, I believe that with the experience of having build networks in the region, and engaged with engagement I have had with our community of operators, regulators, R&E Networks, ccTLD operators in the AP region, I'll be able to contribute to this evolution of APNIC. In the past, I have taught workshops, done tutorials, organized Peering Forums and supported different local NOG, and I hope to continue doing more of the latter. I have always tried to keep to the spirit of the Internet and hope that I can get the support to continue doing that by being on the APNIC EC. I am nominating Gaurab Raj Upadhaya once again for the APNIC EC. In his pervious terms as a EC member and most recently as the EC Chair, he has shown the commitment to our community, and helped APNIC navigate the tricky years of IPv4 exhaustion, the Internet Governance issues, and has increased community interactions with the EC. I have known him since 2003, when he first came to Dhaka to encourage us to setup the Bangladesh Internet Exchange (BDIX). Since then, I have had the pleasure of working with him many times. Together we built the BDIX, and he helped Bangladesh's ISPs to learn and use BGP routing. He founded SANOG, one of the best things to happen in our region. SANOG has now helped form BDNOG, NPNOG, BTNOG, LKNOG, PKNOG and INNOG in this region - a tremendous success. I have observed Gaurab's contribution to the Internet Industry in South Asia and internationally, and given his understanding of the operational reality and policy concerns facing operators, governments, and regulators, I believe he would be an excellent candidate for the APNIC Executive Council. His rare combination of technical and people skills will enable him to continue to valuably serve the community in our region in this role. R S Perhar has served in various capacities in both corporate and government organizations addressing the Internet and Telecommunications Sectors, and is currently the President of Netplus Broadband Services Pvt Ltd and Principal Consultant, responsible for its Strategy and Planning. He is also an Executive Council member of the Internet Service Providers Association of India (ISPAI). At Netplus, he has lead the company to deploy innovative technologies to build locally sustainable networks at low cost while providing an international-class Internet usage experience. Prior to this, he was COO of Tulip Telecom Ltd where he helped the company establish a MPLS VPN Network spanning 1,140 locations across India. He also set up data centres in Delhi, Mumbai and Bengaluru. He was elected as member of the Executive Council of Internet Providers Association of India in 2005 and then Secretary of Internet Service Providers Association of India (ISPAI) in 2006, during which time he was responsible in building sustainable business models with supportive technology for small ISPs who could spread Internet access into rural areas. He has also been a member of various government committees examining next generation networks and wireless radiation standards in India. He was part of the Indo UK high Technology Group to promote Nano Technology in India. He has in the last two years been involved at ICANN, RIRs and IGF to further the cause and concerns of the APNIC community. He has been in Top Management of various companies at board level and is fully experienced in Administration, Legal, Financial Planning, Sales, Marketing and Operations of running large companies. He is also the founding Secretary of ISOC Delhi Chapter. During his term as secretary he set up projects to teach computer education to deprived children. He is also on the Governing Board of NGO ?Youth Technical Training Society? in Chandigarh which is into providing computer education to deprived children, monitor HIV cases on behalf of Govt and run Child Helplines in Chandigarh Zone. In Feb 2016 he was elected to the Executive Council of APNIC. 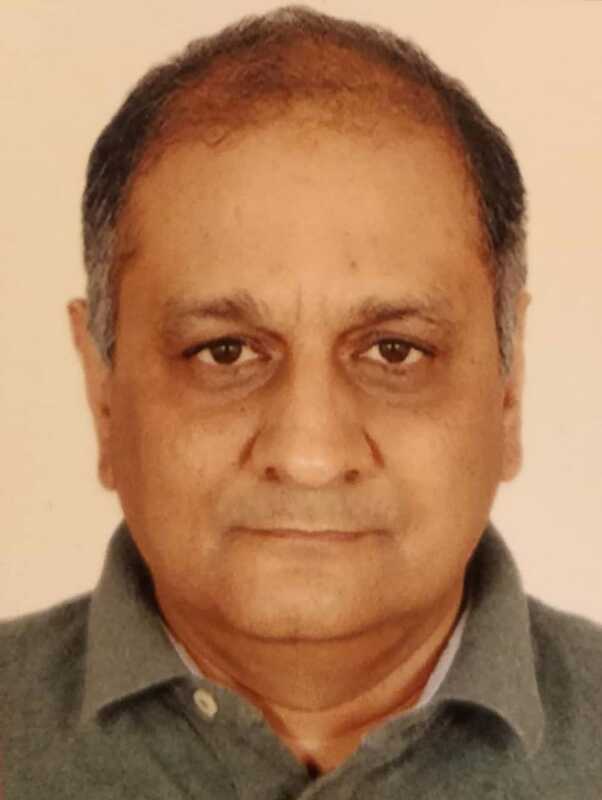 During his term in APNIC he has contributed his knowledge and experience in matters related to Strategy, Human Resources, Finance and Operations with a view to further improve the customer relations, financial planning, strategy, in work, health and safety related issues. His work and dedication as APNIC EC was well appreciated by his colleagues on the EC and others involved. I have been associated with the APNIC community since 2005 onwards. I led the Internet Service Providers of India(ISPAI) team to APNIC Conference in Bali and convinced the board to consider India as a destination for APNIC meetings. We successfully held the first APNIC meeting in New Delhi and thereafter we have held APRICOT and many meetings of our regional and international importance. I have been in the Telecom Sector for last decade and a half. I also helped initiate our case for NIR and its setting up in India. As COO of Tulip Telecom Ltd I picked up valuable experience of operations, management of resources, logistics, evaluation of technologies for deployment, HR management at a national scale, financial management to ensure optimal expenditure and experience of functioning in a large telecom company at the top management and board level. My current assignment at Netplus Broadband Services Pvt Ltd as President for Strategy and Planning and Principal Consultant to group companies has given me further experience at board level to function at and manage large companies for which skills in, Financial Management, HR Management, Logistics, Sales and marketing, operations and legal matters is essential. I have known Perhar for many years in the Association and Industry. He has always been known as the person to get work done. He has vast knowledge in fields of Human Resource Management, Operations, Finance, legal and most importantly Strategic Vision and thought. Wherever he has worked he has created immense value for the organization and the community attached. He has contributed very constructively and positively as EC member of APNIC. I strongly feel that he needs to be elected again to the APNIC EC to continue doing a good job for benefit of our whole community. With over 25 years experience in Telecommunications & Information Technology spanning in the field of Telcom, Retail and Government/Ministerial/School environment , I have enjoyed a career propelled by passion and commitment for Information Technology and Telecommunications COMBINED with enabling abilities for people and businesses. An engineer by trade, grew into managerial and executive role, starting from a simple Technician developed into a result oriented senior professional, high attention to details, obsessed with security, extreme focus on cost reduction and an absolute passion for people management and development. My profession throughout my career is Networks and Design. From an early age, I have always been passionate about Networks, and in particular TCP/IP, back in the late 1990's where the Internet was unheard of in the Kingdom. Through this passion, I have secured a career that hopefully I can share amongst my fellow Pacific Islanders. Although I fully appreciate the council mostly of Asian background, I do believe however with the Pacific Islands growing more and more connected to the Internet. I believe having someone from the Pacific on the council would provide more insight into APNIC's over-view of the over-all region, especially the Pacific Islands. Pankaj has over 29 years of qualitative experience in field of Telecommunications, Planning and Rolling out Data Networks for Enterprise Customers. He is currently working with Dishnet Wireless Limited (ISP) as National Head - Business & Operations. 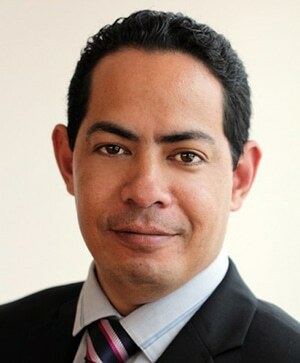 Prior to Dishnet, he has worked with Primus Telecommunications(ISP), Blue Star Limited (Datacom Division) and Uptron. Pankaj is actively involved in ISPAI & ISOC and currently holds Treasurer position at ISPAI for last three years. He is a regular attendee of APNIC and APRICOT conferences & meetings for more than 7 years. He was instrumental in successfully organizing SANOG(s) in India as Event Chair and was also instrumental in organizing the First INNOG at New Delhi. Being associated with ISP community for two decades, he brings in varied experience to manage the Internet community. He is closely associated with Licensor and Regulator in India and works towards resolving the issues of ISP community. I am currently associated with Dishnet Wireless Limited (Class A ISP in India) as Head of Enterprise Business Unit. Due to scarcity of IP V4 addresses, I feel that a lot of efforts are required to be done to quickly rollout IPV6 addresses among the service providers and end users. I have been actively participating and attending APNIC, APRICOT, ICANN, SANOG meetings and have been providing the relevant inputs to keep up with the pace of dynamic changes in Internet space. I have known Pankaj for last more than 14 years and have seen him bringing in innovative ideas for customers, which besides addressing their regulatory issues, also results in upselling and revenue enhancement of their respective organizations. He has been in leadership position in the current organization for many years and an Office Bearer for ISPAI. He works closely with the Government of India to address the Internet community issues and thereby, I strongly recommend his nomination for EC position at APNIC. We have known Pankaj for last more than 10 years and have seen him bringing in innovative ideas for customers, which besides addressing their regulatory issues, also results in upselling and revenue enhancement of their respective organisations. He has been in leadership position in the current organisation for many years and an Office Bearer for ISPAI. He works closely with the Government of India to address the Internet Community issues and thereby, I strongly recommend his nomination for EC position at APNIC. I have known Pankaj for last 20 years. He is a thorough Gentleman and Professional. Due to his immense knowledge and great relationships with customers, vendors, partners; he has brought tremendous growth to his organisations. He understands regulatory matters and is always vocal about the industry issues in different forums. I recommend his nomination for EC position at APNIC.